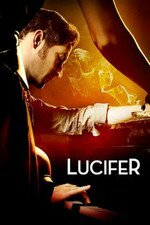 A reporter seeks revenge after he discovers that Lucifer has been sleeping with his estranged wife. An interesting variation on the bottle episode — it’s not one in the traditional production sense, only in a continuity sense, as it can be plunked anywhere in the broadcast schedule. And, it having been filmed at the end of S2 and held back until now makes the Hell ending more hellish, since it extends the amount of time Reese has been repeating the loop. One thought, though: at the end of the sequence of events, while he's dying, Reese seems to feel victorious. He made personal progress, learned, and maybe even became a better person in that last hour or two. Does that mean he's not really in hell, in a way? No, I think the AV Club recap nails it — Reese’s hell is that he is dooming himself to eternally fail at getting Linda back. He never reaches a point of doing good selflessly, only as a means to an end. I didn't really like this episode. Last week's didn't forward the major story arc and so to have this play right after, it just makes it feel like the season has totally stalled. I thought the episode was good for what it was but it's another example of the wheels spinning. The overall story arc has barely moved all season. For a while during the episode, I was expecting this was the origin story of the Sinner Man. I really enjoyed this one. I couldn't predict where it was going (at least not at first) or explain why it even existed. It's not too often I get thrown for a loop, especially by genre TV, so well done to the cast and crew. So I would think that Linda's estranged husband being kinda crazed and unable to let her go and then dying really dramatically with a big murder-wall all about her and Lucifer would be a really big story for LINDA, a character we actually know and love, but I guess not! I guess instead, for the sake of cleverness, we had to watch this episode from the point of view of random stranger Reese. Not Linda. The character we have spent two seasons getting attached to.